This is Champagne done in a clean, toasty style with a fine mousse. Ideal to sip but even better for hors d'oeuvres. Drinking Pol Roger is an exercise in classic refinement and pleasure. Its fresh, clean style always makes me smile, but it has an alluring depth of structure and character which reside beneath the surface. Through 160 years of fads and fashions, its quality and house style has remained consistent and excellent. I am reminded of a quote by Sir Winston Churchill: "My tastes are simple, I am easily satisfied with the best." 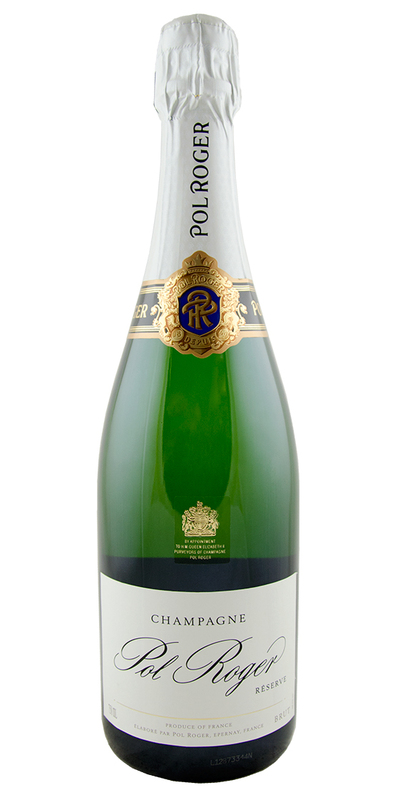 Pol Roger NV is the best Grandes Marques Champagne under $50, bar none. Equal parts Pinot Noir, Chardonnay, and Pinot Meunier, plus four years cellar aging bring an elegant golden hue, a palate of pears, apples, and Meyer lemon with attractive aromas of toast, honeysuckle, and jasmine. Ignore that loud bombastic one in orange packaging. This is a gentleman's Champagne and always in style. Notify me when Pol Roger, Brut - NV is back in stock.